If you are looking for the most-awarded minivan on the market and you are in northeastern Oklahoma, come see our new or used Chrysler Pacificas at Vance Chrysler Dodge Jeep Ram located in Miami, Oklahoma. 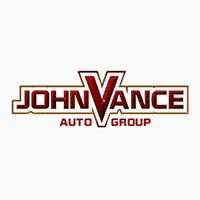 Vance Auto Group has nine full service dealerships with a ton of preowned inventory to choose from. We’ve been helping our fellow Oklahomans find the perfect vehicle for over thirty years. Come see why! The 2019 Chrysler Pacifica is the nation’s first hybrid minivan, giving you up to an efficiency rating of 82 MPG and a 520 mile range. It has won more awards than any other the last three years straight: Best Buy by Consumer Digest, 2018 Family Car of the Year by Cars.com, and the 2019 Safety Top Pick, to name a few. It is worth your while to come see the Chrysler Pacifica for yourself. The Pacifica touts over 100 standard and available safety and security features. With the best-in-class cargo volume space, the Pacifica is the perfect family car. This innovative minivan also received the best entertainment with the largest in class dual touch screens. You will get the best in class for the most innovative seating and storage. The flexibility of the Chrysler Pacifica offers you a minivan that will change for whatever your day brings. Whether you are taking a trip with the family or carpooling to a game, the Pacifica can sit up to eight people. Since the second row seating folds to the floor with the Stow & Go feature, you are ready to take whatever cargo you need with you. The Pacifica has a camera with 360 degree view, Full Speed Forward Collision Warning and Active Braking, so you can rest assured of its high rating for safety. Come see us in Miami, OK to experience the van that has everyone talking. We have been faithfully serving our Oklahoma neighbors for over thirty years. Whether you are looking for a new or used vehicle, we will do all we can to get you in the right one.